MALCOLM IN THE MIDDLE | Warped Factor - Words in the Key of Geek. Isa Gunther finds Tucker in the TARDIS. 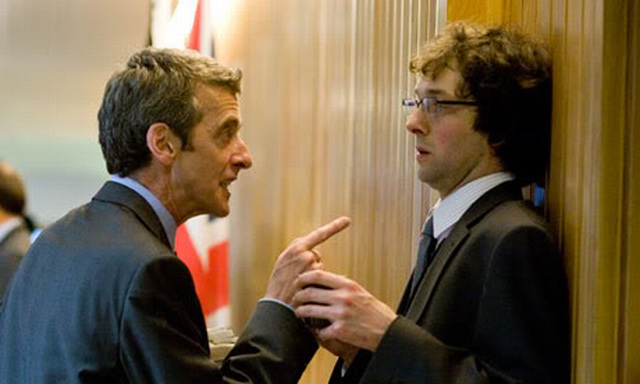 From 2005 until 2012, The Thick Of It and its spin-off film In The Loop, were some of the most-watched television programmes in the UK. Starting on BBC4 and eventually moving to BBC2, the show is credited with showing up the flaws and idiosyncrasies of elected officials, their staff, and the state of politics in general. 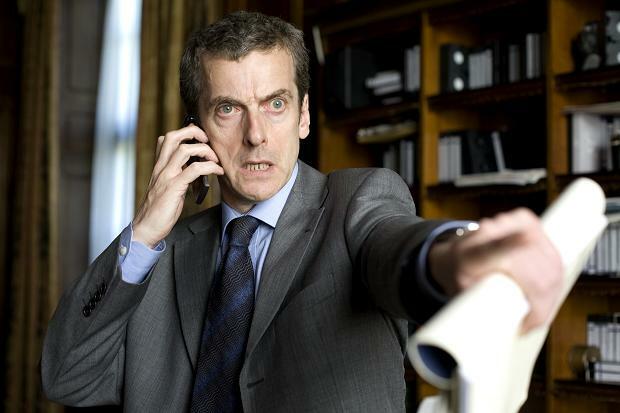 The Thick of It also introduced the character of Malcolm Tucker, which led to the actor who played him suddenly becoming a household name. One of the most striking mannerisms is the way both characters use their hands to express themselves. Tucker's hands emphasize the fingers, hands closed, defensive, accusatory, and ready to stab anyone who comes within range. The Doctor's hands are just as pointy, but less accusatory, more questioning and, at times, open. Malcolm's hands are closed fists, ready to punch someone; the Doctor's hands are open, literally keeping people at arm's length. Where Tucker's hands give orders, the Doctor's hands shield him from anyone who isn't his “carer” (Clara). On an author's side note, Capaldi himself uses his hands in a much different way than any of his characters. Where Tucker accuses and stabs, and the Doctor pushes people away, Capaldi creates images and invites listeners in with his gestures. Both Tucker and Twelve have a strong aura of authority, but where Malcolm establishes his power from his biting sarcasm and insults, The Doctor establishes his quiet authority with a glare he clearly inherited from Tucker. And while he may “not approve of Malcolm's language or attitudes,” Twelve has inherited a certain amount of Tucker's disdain for humanity, especially for those he considers idiots (i.e. pretty much everyone who isn't Clara or Osgood). The key difference between them is how they relate to others. Twelve tries to understand humans, and to be fair, has several people he would consider friends. While he may not always like or approve of humans, he will (usually) protect them, unless they do something he feels is monumentally stupid. Malcolm, by his own admission, has no friends and doesn't care to have any. To him, everyone is a “pudding brain,” to borrow a phrase from Twelve. But even Malcolm had very brief moments of compassion, most notably towards his personal assistant, hidden by his abrasive and spiteful actions. No character is created in a vacuum; many, if not all of them have their roots not only in their respective scripted worlds, but in the actor who plays them. Though Capaldi stated that his Doctor would not tolerate Malcolm, a closer look at the two of them reveals enough similarities between them that they both have their roots firmly in the same ground.